Early response to sepsis is characterized by decreased serum T3 and increased rT3 levels. Serum T4 levels decrease within 24 to 48 h, and thyroid-stimulating (TSH) levels remain normal, and have no more circadian rhythm. Prolonged sepsis is associated with centrally induced hypothyroidism. In the initial response to sepsis, growth hormone levels are high with attenuated oscillatory activity and low insulin-like growth factor (IGF)-1 levels. Later on, growth hormone (GH) secretion shows a reduced pulsatil fraction, and correlates with low circulating levels of IGF1. Exposure to endotoxin caused prompt increase in circulating adrenaline and noradrenaline concentrations. Catecholamines have a very short half-life and are metabolized through captation, enzymatic inactivation, or renal excretion. Plasma catecholamines levels remain elevated in plateau up to few months after recovery. Insulin levels rapidly increased following LPS as a result of both increased secretion and tissue resistance. The clinical consequences of the stress system activation include behavioral changes, cardiovascular, metabolic and immune adaptations. The use of exogenous hormones in critical illness has become a standard of care. Hypotension can be corrected by administration of catecholamines, and these drugs are routinely administered in the intensive care unit (ICU). Vasopressin can help improve cardiovascular function in vasodilatory shock. There is enough evidence supporting the benefit of corticosteroids or insulin critical illness morbidity, and their benefit on survival remains controversial. During critical illness, the stressors are multiple and include emotional and physical stress resulting both from an acute aggression such as trauma or infection and various therapeutic or diagnostic interventions such as surgery, arterial or venous catheterization, laryngeal intubation and mechanical ventilation, and drugs. It is also paramount to recognize that stress is sustained at a certain level of intensity for several days with additive and unpredictable surges. Thus, the host has to adapt his response to counteract a prolonged stress while still remaining able to adjust to the unpredictable surges of stress. 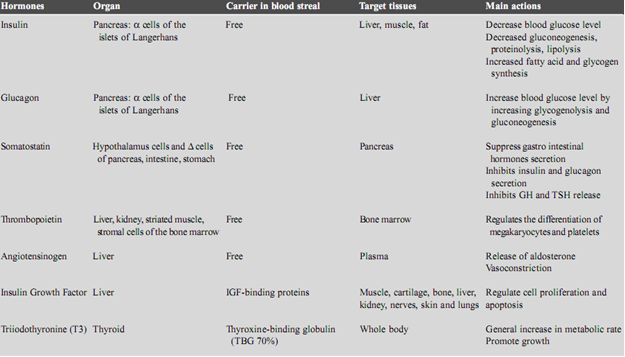 Therefore, it is needless to say that the integrity and flexibility of host response to these stressors is essential to survive critical illness. It is now recognized that the “stress system” has two main components: the corticotropin-releasing hormone/vasopressin neurons of the hypothalamus and the Locus Coeruleus noradrenaline/autonomic neurons of the brain stem . We will summarize recent knowledge on how immune molecules such as interleukin or nitric oxide signal the brain to generate both neurological and hormonal responses aimed at turning down the immune system when the inflammatory response is no longer needed to fight off an infection for example. Two pathways are used by the organism for interorgan communication, the central nervous system and its peripherals arms, and the endocrine system . Nowadays, in the vertebrates the endocrine organs include anterior and posterior pituitary, ovary and testis, adrenal cortex and medulla, thyroids and parathyroids, islets of Langerhans in the pancreas, and various parts of the intestinal mucosa. The pineal and thymus can also be considered as endocrine organs. 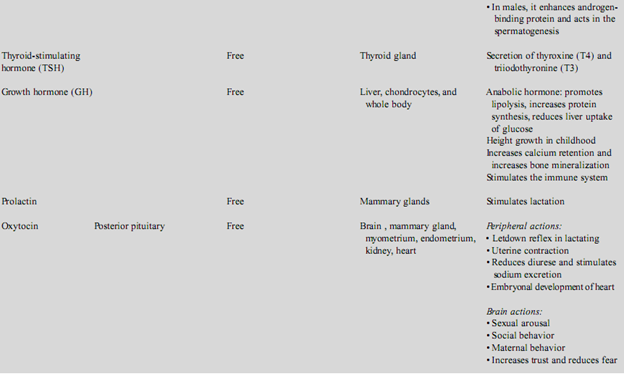 In addition, other organs may have some endocrine properties. For example, the kidney secretes renin and angiotensin; the heart secretes natriuretic factors. 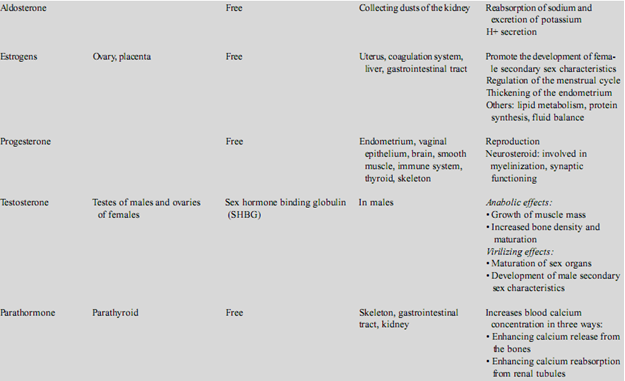 The main known hormones are listed in Table 33.1. Basically hormones are divided into steroids (cholesterol derived proteins), peptides, and amines (Table 33.1). There is probably no uniform mechanism for the regulation of hormone activity. For example, there is no evidence that parathormone is released upon nervous stimulation or action of a specific trophic hormone, in contrast to the thyroid, adrenals, and gonads. We will focus on the main hormones involved in response to stress, i.e., steroids, catecholamines, and vasopressin. There are two main mechanisms of regulation of the endocrine activity: feedback loops and neural control. Experiments in which peripheral glands are disconnected from the pituitary showed full cessation of gonad function whereas the thyroid and adrenal cortex continues to secrete hormones at a lower level depicting their intrinsic activity. Similarly, the anterior pituitary has an intrinsic activity specific to thyroid and adrenal cortex function. The feedback mechanisms allow circulating hormones from the target organs as well as from the anterior hypophysis to down- or upregulate the release of hypothalamic molecules. The feedback loop involves also central nervous structures such as the hippocampus. This self-balancing system stabilizes the endocrine activity under resting conditions but is insufficient in case of enhanced endocrine activity . Then, the hypothalamus plays a key role in the regulation of these hormones. First, it is directly connected to the neurohypophysis and the adrenal medulla. Second, it modulates the anterior pituitary function by releasing, in synchronous pulses (roughly hourly), stimulatory or inhibitory hormones in the hypophysial portal vessels of the pituitary stalk. Stimulatory peptides include corticotropin-releasing hormone (CRH), LH-releasing hormone (LHRH), FSH-releasing factor (FSHRF), GH-releasing factor (GHRH), prolactin (PRL) stimulating factor and thyrotropin-releasing hormone (TRH). Other peptides are inhibiting factors like GH-inhibiting hormone (somatostatin) and PRL-inhibiting hormone. Vasopressin, natriuretic peptides, and catecholamines also influence the pituitary function. The effect of CRH on ACTH release by the pituitary is permissive and vasopressin acts in synergy with CRH. There are tight interconnections between CRH-synthesizing neurons from the parvocellular nuclei and the Locus Coeruleus in the brain stem . Thereby, noradrenaline, CRH, and vasopressin can stimulate each other. Through collateral fibers, ultra-short negative feedback loops allow permanent adaptation of the synergy between the two systems. Finally, CRH, vasopressin, and noradrenaline are on the stimulatory control of the serotoninergic, cholinergic, and histaminergic systems and are inhibited by the gamma amino butyric acid, benzodiazepine, and opioids systems . Critical illness is a condition involving multiple stressors of both emotional and physical types. The unpredictable nature, duration, and intensity of these stressors render the host response more problematic. Acute inflammatory responses to LPS include the release of a number of mediators such as tumor necrosis (TNF) alpha, interleukin (IL)-1, IL-6, IL-8, nitric oxide, macrophage migration inhibiting factors (MIF), and high mobility group box (HMGB)-1 . These mediators reach the hypophysial portal capillaries in the median eminence via the anterior hypophysial arteries. 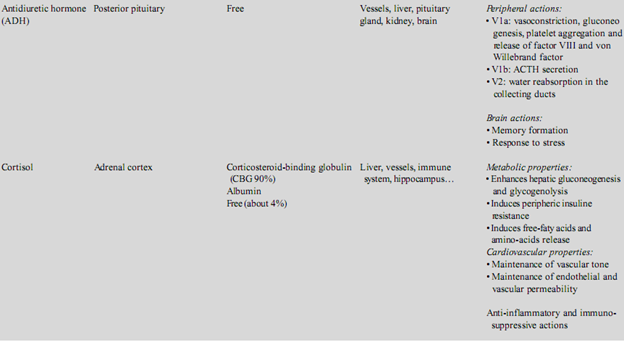 Cytokines can diffuse into the pituitary as these areas are free of blood-brain barrier . Then, they are carried to the hypothalamus and the brain areas lacking a blood-brain barrier (circumventricular organs), or via specific transport systems . In addition to the blood-borne cytokines, glial cells can produce a number of cytokines such as IL-1, IL-2, and IL-6 . Interestingly, i.p. injection of LPS induces IL-1b followed by inducible NO synthase (iNOS) mRNA within 2 h, peaking in 4–6 h and then returning to basal values by 24 h . The induction of IL-1b and iNOS occurred in this study in the meninges, areas lacking a blood-brain barrier, and also in the parvocellular nuclei and the arcuate nucleus, which contain the hypothalamic releasing and inhibiting hormone producing neurons. Thus, it is likely that delayed overexpression of NO through iNOS activation prolongs the synthesis of hypothalamic hormones induced by LPS . In addition, cytokines via activation of GABAergic neurons block NO-induced LHRH but not FSH release, inhibit GHRH release, and stimulate somatostatin and prolactin release . Various afferent neurons of the peripheral system sense the threat at the inflammatory sites and stimulate the noradrenergic system and the hypothalamus . Activation of vagal afferent fibers by LPS results in activation of the Locus Coeruleus which neurons have projections that synapse on cholinergic interneurons in the parvocellular nucleus . It has been shown that CRH is released upon acetylcholine stimulation of muscarinic receptor, and that this effect is prevented by nonspecific NO antagonists . Infection, LPS challenge, major surgery, trauma, or burns elicit very similar patterns of pituitary hormone secretion. Plasma ACTH and prolactin increase within a few minutes following the insult and are associated with a rapid inhibition of LH and TSH but not FSH secretion. Growth hormone secretion is also stimulated in humans. Acute stress induced an immediate increase in the amplitude of hypothalamic hormones pulses, mainly CRH and vasopressin, resulting in increased amplitude and frequency of ACTH and cortisol pulses, and the loss of the circadian rhythm . The common feature is characterized by high circulating levels of ACTH and cortisol, which remain in plateau as long as the stressful condition is maintained. However, circulating levels of cortisol depend on both synthesis and clearance and do not strictly reflect the HPA axis function. Thus, they vary from <5 µg/dl to more than 100 µg/dl . Circulating vasopressin levels are regulated through various stimuli including changes in blood volume or blood pressure and plasma osmolality, cytokines, and other mediators. In sepsis, vasopressin levels in plasma may follow a biphasic response with initially high concentrations, followed by a decline in concentrations down to the limits of normal range within 72 h with relative vasopressin insufficiency as a consequence of NO-induced neuronal loss . Low T3–T4 syndrome has been described for more than 20 years in fasting conditions and in a wide variety of diseases (e.g., sepsis, surgery, myocardial infarction, transplantation, heart, renal, hepatic failure, cancers, malnutrition, inflammatory diseases) and is also called euthyroid-sick syndrome or nonthyroidal-illness syndrome (NTIS) . In the early phase of stress, there is a decrease in serum tri-iodothyronine (T3) level, an increase in rT3 level, then serum thyroxine (T4) levels decrease within 24 to 48 h, and TSH levels remain within normal range and show no more circadian rhythm. Underlying mechanisms include (1) decreased conversion of T4 and T3 in extrathyroid tissues due to inhibition of the hepatic 5’-monodeiodination, (2) presence of transport protein inhibitors preventing T4 fixation on the protein, (3) dysfunction of the thyrotrophic negative feedback, (4) cytokines (IL-1, IL-6, TNFa, IFNγ) induced inhibition of the thyrotrophic centers activity and/or affected the expression of thyroid hormones nuclear receptors, and (5) other inhibitory substances such as dopamine. Prolonged critical illness is associated with centrally induced hypothyroidism as suggested by restoration of T3 and T4 pulses by exogenous TRH infusion. The acute phase of critical illness is characterized by high growth hormone levels with attenuated oscillatory activity associated with low levels of IGF-1 . Serum concentrations of GH effectors IGF-1 are low during this phase, suggesting resistance to GH as a result of decreased expression of GH receptor. Subsequently, direct lipolysis and anti-insulin effects of GH might be enhanced, liberating metabolic substrates such as free fatty acids and glucose to vital organs, while costly metabolism mediated by IGF1 is postponed. In prolonged critical illness, the pattern of GH secretion shows a reduced pulsatile fraction that correlated with low circulating levels of IGF-1. It is well known that under resting condition very few amounts of adrenaline and noradrenaline are released from the adrenal medulla (i.e., less than 50 ng/kg/min in the dog). Therefore, removing the adrenal medulla allows an animal to survive the intervention indefinitely. However, exposure to stressors caused prompt increase in circulating adrenaline and noradrenaline concentrations by 2–3 logs, an effect that was prevented by removal of the adrenal medulla. Adrenaline is stored in medulla vesicles. Noradrenaline is present in the subcellular granules of the sympathetic nervous endings. Catecholamines have a very short half-life (10–20 sec for adrenaline) and are metabolized through captation, enzymatic inactivation (methylation in metadrenaline or normetadrenaline in liver or kidney, oxidative deamination by monoamine oxidase), or renal excretion. The hormonal regulation depends on cortisol, which is necessary for the enzymatic degradation of catecholamines synthesis. The nervous regulation involves cholinergic preganglionic parasympathetic pathways via splanchnic nerves. Like cortisol, catecholamines levels in plasma can remain elevated in plateau as long as the stress is maintained and even up to few months after recovery. Insulin is involved in glucose metabolism through (1) mobilization of store of glucose transport molecules in target cells, such as muscle and fat tissue, (2) activation of hepatic glucokinase gene transcription, and (3) activation of glycogen synthetase and inhibition of glycogen phosphorylase . Other actions of insulin include growth stimulation, cellular differentiation, intracellular traffic, increase of lipogenesis, glycogenesis, and protein synthesis. These effects result from insulin fixation to a ubiquitous membrane receptor belonging to the tyrosine kinase family including insulin-like growth factor receptor (IGF-1) and insulin receptor-related receptor (IRR). Insulin levels in plasma are rapidly increased following an acute stress as a result of both increased secretion and tissue resistance. Insulin suppresses and antagonizes the effects of TNF, macrophage migration inhibitory factor (MIF) and superoxide anions, and decreases the synthesis of the acute phase reactants. Moreover, insulin modulates leptin and other adipokines release from fat cells. The main objective of the neuroendocrine response to critical illness is “fight and flight.” Then, the immediate manifestation of the activation for the endocrine system, mainly the sympato-adrenal hormones, include alertness; insomnia; hyperactivity; pupillary dilation; reception of hairs; sweating; salivary secretion; tachycardia; rise in blood pressure with dilation of skeletal muscles, blood vessels, and coronary arteries; bronchiolar dilation and polypnea; skin vasoconstriction; mobilization of glucose from liver and hyperglycemia; increased oxygen capacity of the blood via spleen constriction and mobilization of blood red cells; and shortening of coagulation time. However, in practice, fighting is the only option, and the appropriateness of the neuroendocrine activity to the intensity and duration of the stress is the determinant of host survival and recovery. The clinical consequences of the stress system activation roughly include behavioral changes, and cardiovascular, metabolic, and immune adaptations. In animals, infections are associated with anorexia and body weight loss, hypersomnia, psychomotor retardation, fatigue, and impaired cognitive abilities. Similar behavioral changes are consistently reported in humans after cytokine or LPS challenge. The socalled depression due to a general medical condition is likely mediated through release of peripheral and brain cytokines . Then, when glucocorticoids and catecholamines responses are insufficient, the critically ill patients will develop brain dysfunction that can result in coma. The cardiovascular adaptation is mainly driven by the sympatho-adrenal hormones even though thyroid hormones and vasopressin contribute respectively to cardiac adaptation and blood volume and vasomotor tone regulation. Corticosteroids exert important actions of the various elements of the cardiovascular system including the capillaries, the arterioles, and the myocardium. The underlying mechanisms are not fully understood and may involve direct mobilization of intracellular calcium, enzymatic metabolism of adrenaline, increased binding affinity of adrenaline for its receptor or facilitation of the intracellular signalization that follows the coupling of adrenaline to its receptor. Whenever the hypothalamic-pituitary adrenal axis or the noradrenergic responses are inappropriate, critically ill patients will develop cardiovascular dysfunction. Indeed, septic shock patients with adrenal insufficiency, as defined by a delta cortisol of 9 µg/dl or less, have more pronounced hypotension than those with presumed normal function, and are more likely to develop refractory shock and to die . Adrenal insufficiency is at best recognized at the bedside of critically ill patients by either low baseline cortisol levels (<10 µg/dl) or cortisol increment after 250 µg of corticotropin of <9 µg/dl . Failure of the noradrenergic system will also result in cardiovascular dysfunction during critical illness. Sepsis is associated with decreased noradrenergic activity that preceded cardiovascular dysfunction . The decrease of the pulsatile activity of the HPA axis and the noradrenergic system result in regularity within the circulatory and respiratory function becoming unable to adjust to stressful conditions, loss in interorgan communications with multiple organ dysfunction, and death . Finally, inappropriately low vasopressin levels contribute to the vasodilatory shock . The net result from the activation of the endocrine system is hyperglycemia. Tissues that are insulin-dependent cannot uptake glucose, which is then available for insulin independent tissues like the brain or inflammatory cells. The main reason for critical-illness-associated insulin resistance is cytokines-induced impairment in GLUT-4 metabolism . Hyperglycemia has been shown to increase mortality in critical ill ness . The mechanisms underlying glucose toxicity for the cells are still unknown and may include an overloading of the insulin-independent cells like neurons. Subsequent to low ATP levels in the cells, the excess of intracellular glucose cannot enter the Krebs cycle and result in the generation of free radicals and peroxynitrites, which in turn block complex IV of the mitochondria. Then, by killing the mitochondria of insulin-independent cells, hyperglycemia may facilitate acquisition of superinfection, damage the central and peripheral nervous systems and the liver, and eventually result in multiple-organ-dysfunction-related death . Excess in the catabolic hormones, cortisol, adrenaline, and glucagon will also elicit an imbalance between the muscle protein breakdown rate and the rate of muscle protein synthesis, resulting in a net catabolism of muscle protein, which may contribute to critical-illness induced muscle weakness and affect long-term prognosis. The changes in the immune function again are mainly related to the sympatho-adrenal hormones even though insulin and vasopressin can also influence immunity. Glucocorticoids suppress most, if not all, T-cell derived cytokines, and change the Th1/Th2 balance toward excess Th2 cells . They do not affect IL-10 synthesis by monocytes, and they upregulate lymphocytes-derived IL-10. They also inhibit the synthesis of many other inflammatory mediators such as cyclo-oxygenase and inducible NOS, and down regulate cell surfaces markers such as endotoxin receptor and adhesion molecules. Finally, they enhance the occurrence of apoptosis of thymocytes, mature T-lymphocytes, eosinophils, epithelial cells and precursors of dermal/interstitial dendritic cells, but delay apoptosis of neutrophils . Catecholamines also drive a Th2 shift in both antigen presenting cells and Th1 cells via beta adrenergic receptors. While the stress hormones, glucocorticoids, and catecholamines induced systemically a shift of the Th1/Th2 balance in favor of Th2 cells, catecholamines also promote locally at the level of inflamed tissues the synthesis of proinflammatory mediators via alpha adrenergic receptors. Then, critical-illness associated impaired HPA axis shifted the Th1/Th2 balance to release proinflammatory mediators in the circulation and broadly in body tissues. The use of exogenous hormones in the context of critical illness has become a standard of care. Indeed hypotension can be corrected by administration of catecholamines. Even though there is no randomized controlled trial of adrenaline, noradrenaline or dopamine versus a placebo or no treatment, these drugs are routinely administered in critically ill patients with cardiovascular dysfunction. Adrenaline and noradrenaline are equally effective in restoring cardiovascular homeostasis during shock . Vasopressin may also restore hemodynamic stability in critical illness . However, the survival benefit from catecholamines or vasopressin remains uncertain. There is enough evidence supporting the benefit of corticosteroids on hemodynamic and systemic inflammation and supporting that survival benefit is dose dependent [2,6]. The use of corticosteroids in patients with septic shock continues to be controversial despite two recent, large, well-performed studies [18,19]. The two studies evaluated different patient populations and came to opposite conclusions. Similarities between the two studies included steroids’ beneficial effects on time-toshock reversal, no evidence for increased risk of neuromuscular weakness, and hyperglycemia. Differences between the two studies include for Annane et al. and Sprung et al. respectively: entry window (8 vs. 72 h; SBP <90 mmHg; >1 h vs. <1 h); additional treatment (fludrocortisone vs. no fludrocortisone); treatment duration (7 vs. 11 days); weaning (none vs. present); SAPS II scores (59 vs. 49); nonresponders to corticotropin (77% vs. 47%); differences in steroids effects according to the response to corticotropin (yes vs. no); increased risk of superinfection (no vs. yes); and study occurred after practice guidelines published recommending steroids (no vs. yes). Currently, patients with vasopressor dependent shock should be treated with hydrocortisone. Recently, intensive treatment with insulin targeting blood glucose of 4.4–6 mmol/L was shown to significantly improve morbidity and mortality in both surgical  and medical  patients. The benefit is mainly observed in the chronic phase of critical illness (after 72 h) and may be related to protection of cells from glucose toxicity rather than from direct anti-inflammatory effects of insulin. However, two recent multicenter studies did not find any benefit for a tight glucose control with intensive insulin therapy in patients with severe sepsis [22,23]. One may suggest that the very early increase in blood glucose mainly relates to stress hormones and should not be counteracted, whereas later hyperglycemia relates to cytokines-induced insulin resistance and should be treated. Other attempts to manipulate the endocrine system during critical illness have included thyroid hormones replacement therapy or growth hormone therapy and have been less successful. The neuroendocrine response to critical illness is paramount for host survival and recovery. 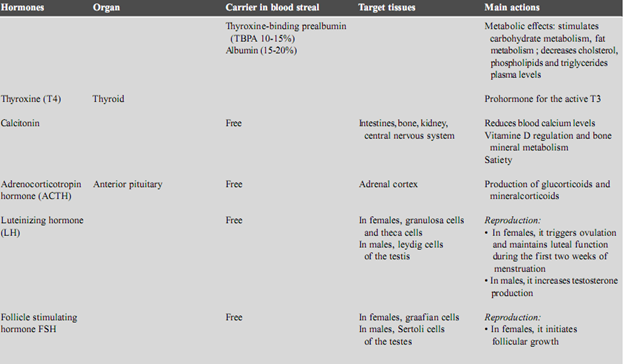 The sympathoadrenal hormones are key actors in maintaining homeostasis. When the neuroendocrine response to an acute stress is appropriate both in time and in intensity then critical illness does not develop and recovery is easy. Otherwise, syndrome of multiple organ failure develops. By contrast, if the host response is too excessive, persistent changes in behavior and mood, in metabolic state and in immune function cause increased susceptibility to superinfection, risk for chronic muscle fatigue, and posttraumatic stress disorders. Whether the neuroendocrine system can be manipulated to be adjusted to the inflammatory process remains a controversial issue.